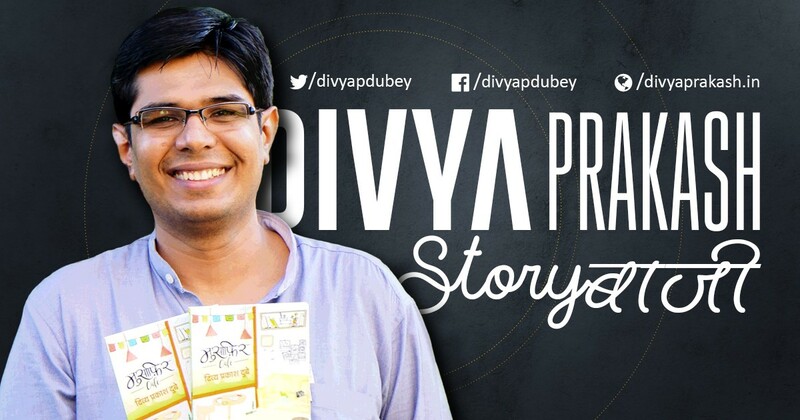 Divya Prakash Dubey is India’s first of now many ‘Hinglish’ writers, An Engineer(COER Class of 2005) and a MBA(SIBM, Pune Class of 2009) by education, a former-AGM, Marketing in a telecom company and now a content editor in leading TV Channel, the combination has been unseen in the world of writing on many levels. But that is what he is, a break from the existing molds of factory-made pieces coming in the market. Humorous down to his very core, and equally deep in his thoughts. His unique view on life and relations makes him an expert storyteller of the popular genre, and these views have been formed by closely observing life from small towns to big Corporate organizations of the country. His three published books have all been bestsellers – Two collection of Short Stories – “Terms and Conditions Apply” and “Masala Chai” and 2 Novels “Musafir Cafe” & “October Junction”, which has started changing the aspect of youth towards life. He also has few poems, short stories, and screenplays to his credit. Engaging and intriguing a lot of first-time readers and carving a niche for himself he has started his own brand of storytelling, a new art of ‘Storybaazi’ which could change the very way we listen and understand Hindi stories. He is the first person to present a TedX talk in Hindi, and his TedX talks and various lectures at colleges and corporate events pull huge crowds who come eager to listen to their Author, who has managed to capture the imagination and reality, both, of the huge young student population, who live their present and as well as the working professionals, who relive their college and childhood days with his stories. Divya Prakash Dubey is a rare gem in the world of Hindi Popular writing, and is taking both his storytelling and the common popular Hinglish language to new levels of acceptability and vernacular usage, with his interesting one liners and captivating imagination.